​Ruth gives intuitive fairy and inner child readings, drawing on fairy tales and can help you tap back into childhood dreams and bring more joy, creativity and wonder into your day to day life. "Just had an incredible reading with Ruth Humphreys this morning! It was warm, playful, accurate, and so uplifting. My inner child is so happy for the messages brought forth. Thank you so much Ruth!" I believe you came into this world knowing exactly who you are, your mission and what you are here to be here. The only problem is that you grew up and this got covered up by the adult bit. The playful and creative inner child holds this wisdom in trust for the day you are ready to explore this again. An inner child story reading is a way to begin to reawaken this through the medium of fairy tales, folk tales, elementals and angels. You will be led through a magical hour with a rainbow meditation and intuitive storytelling by a professional storyteller drawing on inner child cards, angel and unicorn oracle cards and other tools as guided. "My reading with Ruth was magical, in that it tapped right into the fantastical world of my inner child, providing deep insights my adult self could chew on while my inner child was taken away with the story. Ruth has a unique and beautiful way of weaving her own imagination into the readings, creating the stories through the intuitive nudges given by the cards. An insightful and pleasurable experience!" Ruth has been working with the inner child cards since the age of 14. As a professional storyteller and fairyologist she intuitively weaves fairy tales and folk stories into her sessions. Your inner child reading helps you tap back into your loves as a child, reawakens a sense of play and wonder. 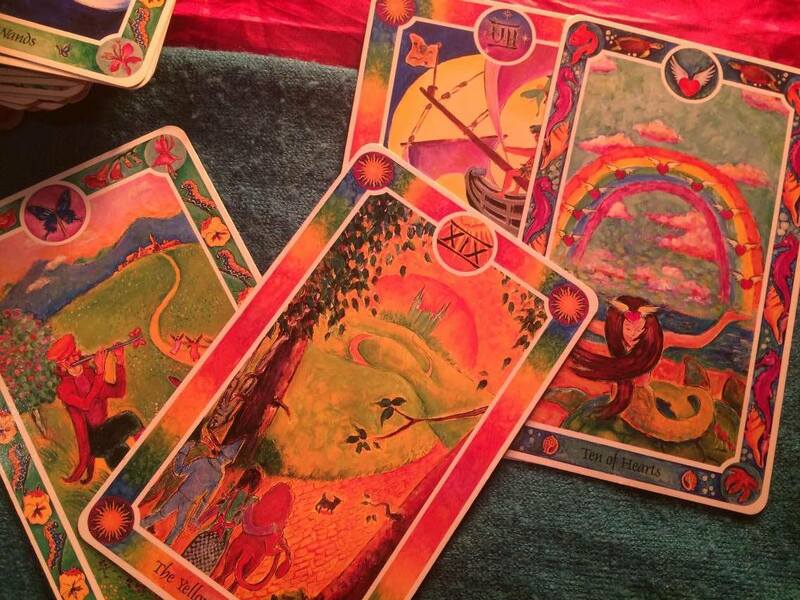 ​​Readings take place live online, include a rainbow meditation and last a magical hour.